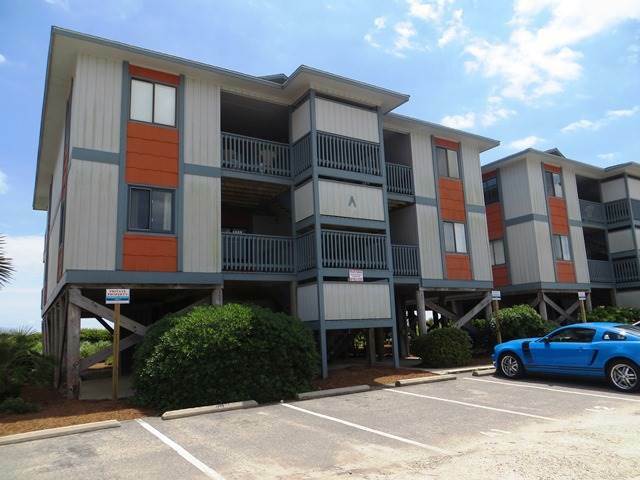 OCEANFRONT 2 bedrooms/2 baths condo with fully equipped kitchen and a private balcony. The complex itself offers an oceanfront pool with an expansive sundeck. Central Heat and Air plus ceiling fans. Fully equipped kitchen including dishwasher, microwave. Color Cable TV, Covered Porch and Sundeck, Outside Shower. Washer/dryer. Bedding: King, Queen, Futon in living room.. ONE PARKING SPOT PER UNIT.